weight, and superior traction over any terrain. 8” height in men’s sizes. Suede leather with Scotchgard® stain resistance. 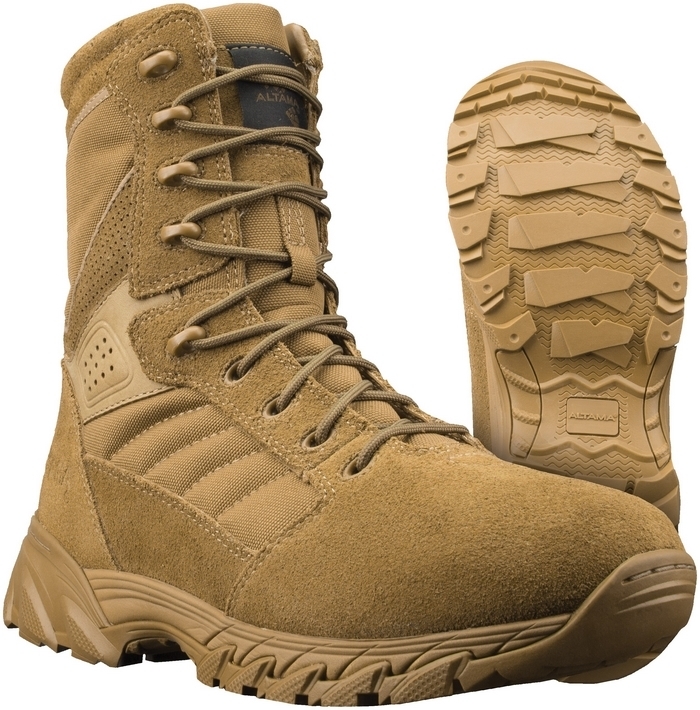 Cordura® 1000 denier breathable and tear-resistant upper. Gusseted tongue to keep dirt and debris out. Durable polymer speed lace eyelets. instant comfort and lateral support. ASTM F489-96 test for slip resistance. and even well exceed the safety requirements. Specificare nelle note d' ordine la misura richiesta.